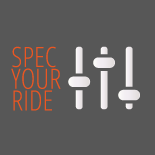 Recommendation: I've switched out the OEM bar, stem, post, pedals, and seat for Easton, FSA, Crank Bros and WTB components. I also swapped the WTB All Terrain tires for Hutchinson Pythons. It's a very comfortable XC ride. Not too slack, not too twitchy. I use it as my town bike too for coffee shop runs and commutes across the river to work. The singlespeed simplicity also reminds me of carefree days as a kid too. No derailleurs. No suspension. Just throw your leg over, stomp on the pedals, and go. Pittsburgh is a bit hilly and 32x16 is ok for some areas but not others. Some long uphill climbs make me want to barf my lungs out but that's probably because I'm not as in shape as I should be. Pros: Good parts for prices, Avid BB7's, truvativ cranks, WTB tires and wheels. Not as rough of a ride as you would think for a rigid bike(my other bike is a 6-inch all mt). Cons: A touch heavy for a bike rigid with no gears, I get just under 25lbs on my bathroom scale. Recommendation: I wanted to get a second bike as a back-up for when my other bike is down for repairs and to have a change of pace every now and then. I'm glad I picked up this singlespeed. I have taken it out on a couple of my local trails and have been loving the simplicity of this bike, it makes me feel like I'm back on my Mongoose when I was a kid back in the early 80's. The chrome-moly (steel) frame does a good job of taking some of the edge off the rough stuff. I thought that I would want to put a suspended fork on this at first, but I like being able to get out of the saddle and get the bike moving quickly. Only thing that I have changed so far is the pedals from flats to Shimano clip-less. Will soon change the stock tires for some that are lighter. 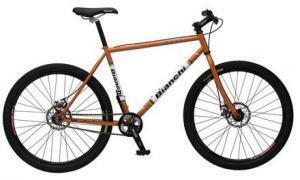 Bianchi M.U.S.S 4.00 out of 5 based on 2 ratings. 2 user reviews.